With the air quality in the country at the nadir, its high time you consider buying an air purifier for your home. 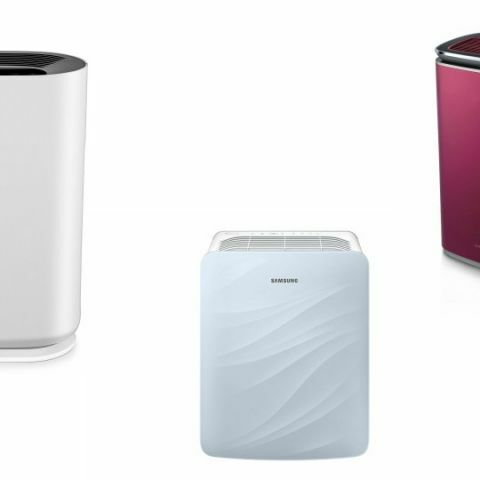 In this list, we take a look at five of the best air purifiers that you can buy on Amazon for less than Rs 20,000. The Philips 2000 Series air purifier comes with three smart presets for purifying the air such general, allergen, bacteria & virus modes. The air purifier also has a silent mode, which slows down the fan speed and reduces the noise level to give you a noise free sleep. Check out the product here. The Kent Eternal Air Purifier comes with the latest HEPA technology, which as per the company, eliminates up to 99 percent bacteria from the air. The air purifier has a built-in sensor and air quality display that inform users about the air quality of their room. Check out the product here. The Honeywell Air Touch i8 releases air at an angle of 15-20 degrees, which tha compan says allows the airflow to reach every corner of the room. As per the company, the air touch filters can provide up to 3,000 hours of air purification. You can view the deal here. The Sharp FP-F40E comes with three stage air purification system. According to the company, the air purifier can remove up to 99.97% of 0.3-micron dust particles. It also has a HEPA filter, which company claims that can last for up to two years. Check out the product here. The Samsung AX40K3020WU/NA 34-Watt Air Purifier features an S Plasma ionizer, which the company claims can remove up to 99.7% of bacteria and other harmful pollutants from the air. It also has a child lock that prevents kids from misusing the purifier. Check out the deal here.